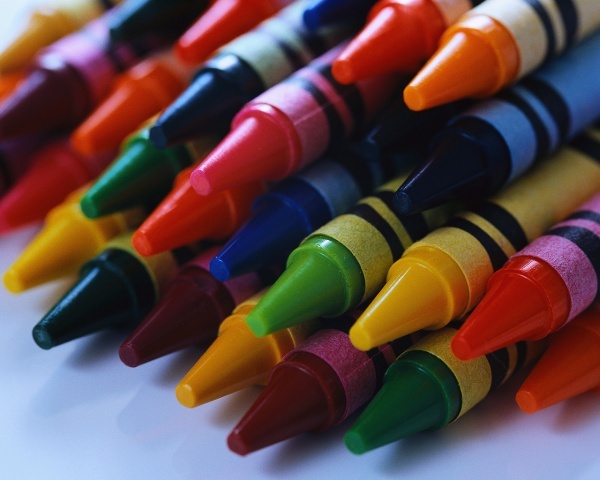 Parents often come to my office with the concern that their child is unable to correctly identify colors, even when these children have an impressive array of other pre-k abilities. Before you begin to worry about your child’s color-naming ability, I suggest taking a minute to think about how complicated the concept of colors is for a young child. The poor kiddo just learned that shoes are shoes. Now shoes are pink or brown or blue?!? Socks are blue, too? And two things that are called blue are not really the came color, one can be lighter and one can be darker. This is really high-level stuff! As a working doc, I know that there are children that know Crayola’s full repertoire by the age of 18-months. However, the reality is that being able to correctly identify a color is not typically learned until children are 3 years old. So, let’s give our toddlers a break. Even for the smartest toddlers on the block, learning colors is tough. It is an abstract concept that takes time and patience. While we wait for each individual child’s readiness to learn the concept of color, there are a few things we can do to help our kids develop this knowledge. Follow your child’s lead. If everything in your child’s life is “blue,” then only talk about or label blue things … until you are blue in the face. Then, introduce another color the following week; labeling all things red, for example. Breaking down colors one by one is much easier than learning the whole crayon box at one time. Compare identical objects of different color. As children are still developing this HUGE database of words associated with objects, take out a variable. The distinction between colors is more clear when comparing objects that share the same current identifying name. For example, compare a red ball and a yellow ball, rather than a red shoe and a yellow jacket. Use puzzles and games to learn a new concept. Toddlers like to experience their world through touch, sound and play. A deck of flashcards will likely lose their interest quickly. Use tactile games and songs to share the rainbow. Remember Candyland, color dominoes, and color matching games? Time to pull those out and play. Head to the Holy Grail of color-learning projects — Pinterest! Search “learning colors” to find hundreds of low-cost, easy-to-find household supplies that can be turned into wonderfully active color-learning play. Color sheets. Don’t underestimate the value of children being able to choose colors and scribble on a page. Let them choose crayons of interest and label that choice with the color name while they hold, feel, and smell the crayon touch the page. Maybe learning from a favorite character might help? Both Nick Jr. and Sesame Street have interactive games to learn colors. Pick a game, then observe your child online. Watch how they learn from the characters and make new connections through digital play. Grab an app. There are many apps that help teach colors. My favorites include Candy Count from Camigo Media and Colors Train from 22Learn. These apps are entirely child directed, allowing for self discovery at their pace. In addition, they have settings to narrow or widen the content of material presented so they will not be too overwhelming to a young child. And, free! Being “color blind” describes people who have difficulty distinguishing red, blue, and green colors; and is more common than you may think. As many as 8% of males and 0.4% of females have some degree of color blindness. It is most commonly a congenital (you are born with it) condition, and does genetically run in families. People with color blindness have normal, thriving adult lives. It is important to know, however, if a person does have a problem with color differentiation as early learning begins. If you think your child is color blind, simple visual tests can be performed. Search “color blind test” in your app store to get a free set of color blindness testing cards. These are most effective in testing early elementary school aged children. For younger kids, or if you think your child may have a problem, talk to your pediatrician or eye care professional.